Just in time for Thanksgiving. 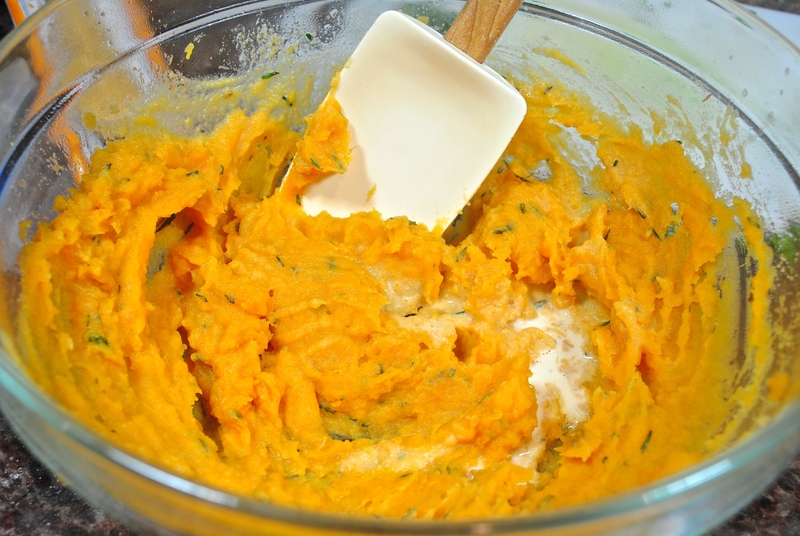 Every Thanksgiving for as long as I can remember I ask the same question of my family — sweet potatoes or mashed? And every year I get the same answer — BOTH. So that got me to thinking about the time my son, Paul, mixed the two potatoes and how yummy they were. 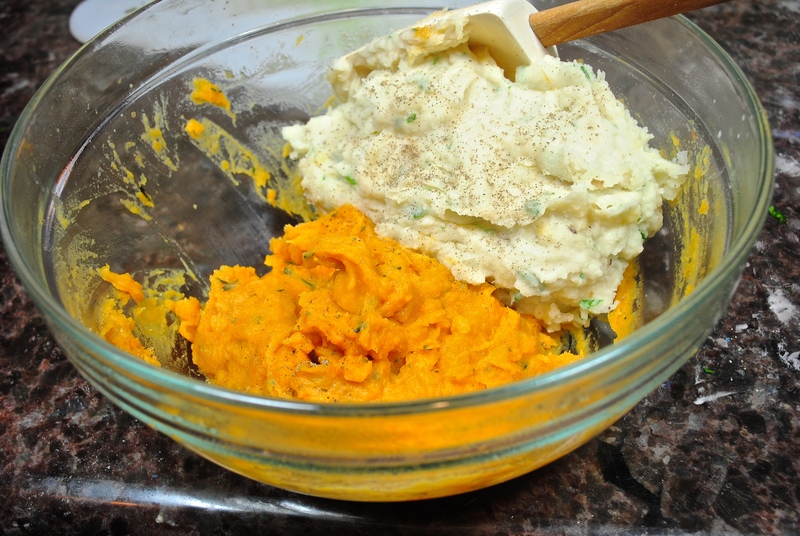 Thanksgiving came quick this year and if you are looking for a pretty side dish for the holidays or a special occasion try this. What makes this dish so special is the browned butter, the ginger root, roasted garlic and the fresh rosemary. Well, I guess that’s practically the whole list of ingredients. 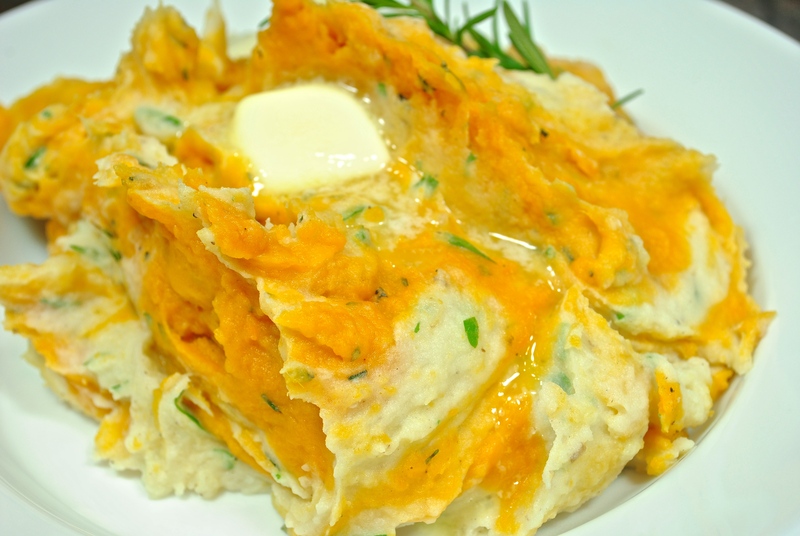 What makes this dish so beautiful is that the potatoes get mashed separately and then gently folded together leaving streaks of orange and white potatoes swirled together. 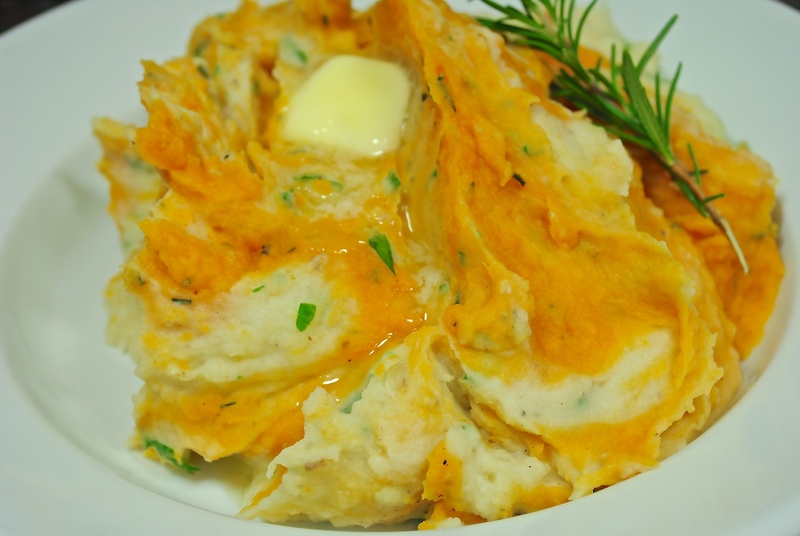 I’ve been roasting sweet potatoes for years with rosemary and olive oil and they are fantastic prepared that way, but I have to admit that there is something about the creaminess of a bowl of mashed potatoes that is so comforting even if you know you shouldn’t be eating them. Happy Thanksgiving everyone. Thanks for continuing to come to my blog. BLAST FROM THE PAST: Bacon Wrapped Dates with Balsamic — these will be great for a little nibble over the holidays. I only used one potato each and this probably made enough for 3-4 people. 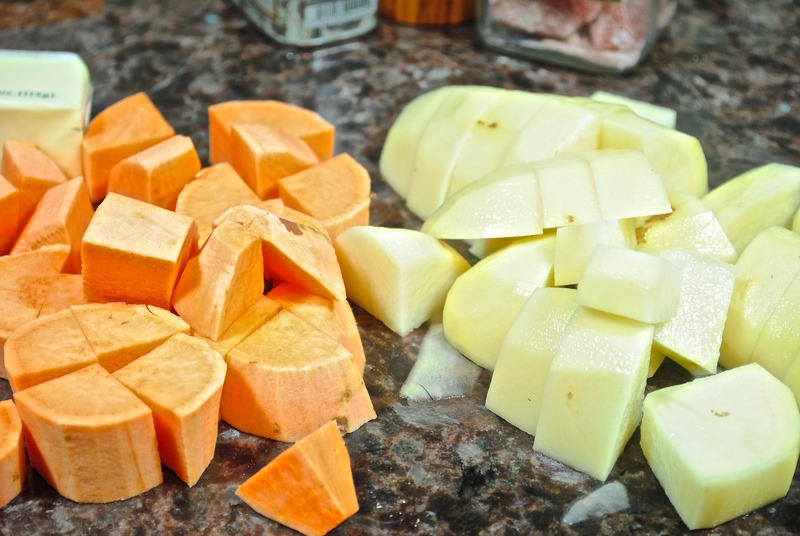 Peel and cut potatoes into uniform size pieces. I totally forgot I had this mincer by Oxo. I love it. 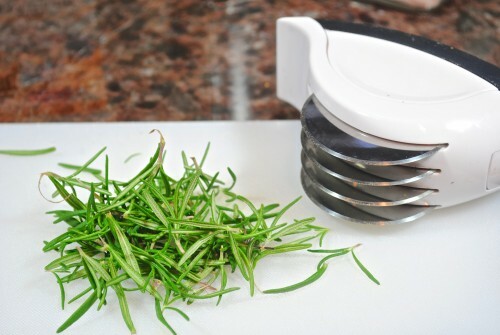 Whether you have one herb or a pile of herbs, mincing is done very quickly. Cook the potatoes in salted water in separate pots. 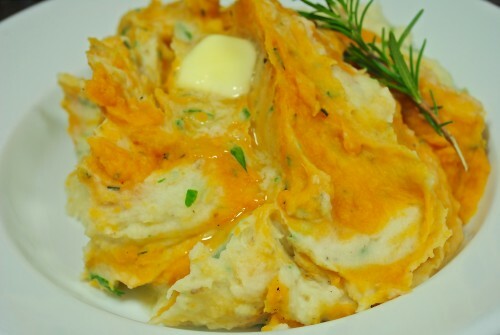 Remove the garlic from the skins and mash with fork. Add the mashed garlic, 1/2 stick butter and 2 tablespoons olive oil to a skillet just to heat. Mash the sweet potatoes with the rosemary/butter mixture. Add salt and pepper to taste and just enough cream to make a good consistency of mashed potatoes. Mash the white potatoes with the olive oil/butter/garlic mixture and then stir in some of the cream. Put the two potatoes in a bowl and gently fold them together. Do not over mix. 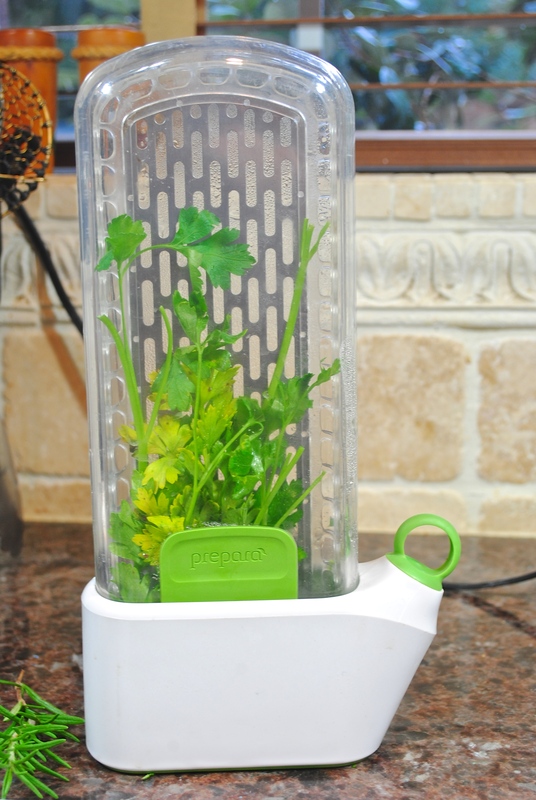 I just had to show you this new herb saver I just got. When I worked at Williams Sonoma we sold these but I never thought I needed another gadget. You can easily put herbs in a glass of water with plastic over the top but then you might turn it over like I always did. The parsley above is two weeks old! I normally bring home parsley or cilantro and in just a few days it is flat and withered. I love this new gadget that my sister gave me. Roast a whole head of garlic* (whatever method you choose). do the whole head and what you don’t use refrigerate for another recipe. 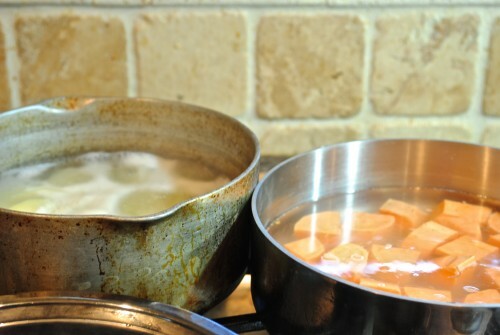 Bring two pots of salted water to a boil and drop in the peeled and quartered sweet potatoes in one pot and the white potatoes in the second pot. 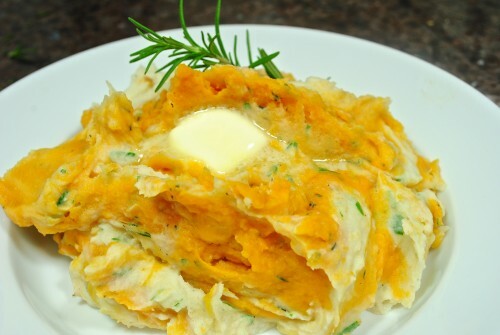 Cook each pot of potatoes until they are fork tender. While the potatoes are cooking, brown 1 stick of the butter by slowly heating it in a skillet until it is nice and brown (watch carefully as it will burn). When it is browned, add in the chopped rosemary and then turn off the heat. 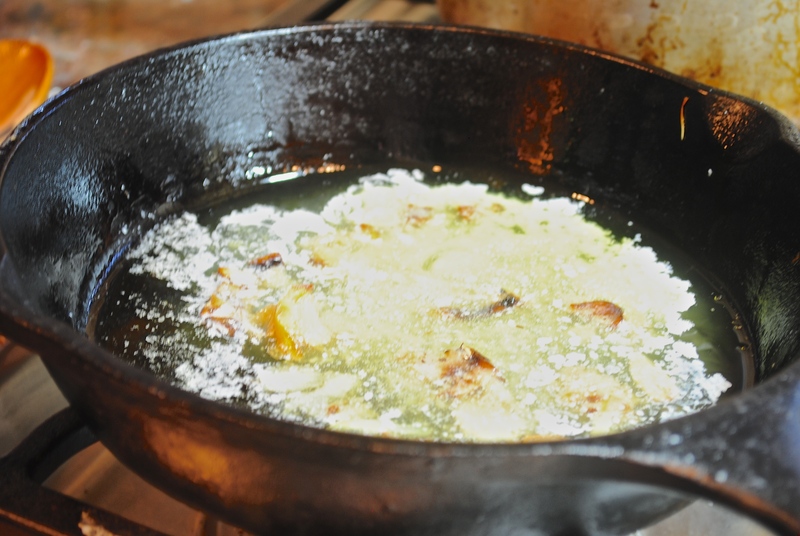 Add the 1/2 stick butter and the 2 tablespoons olive oil to another skillet or saucepan and heat. Add in as much of the mashed roasted garlic as you want. For this amount of potatoes I would add at least 6-8 cloves. When the potatoes are done drain separately. 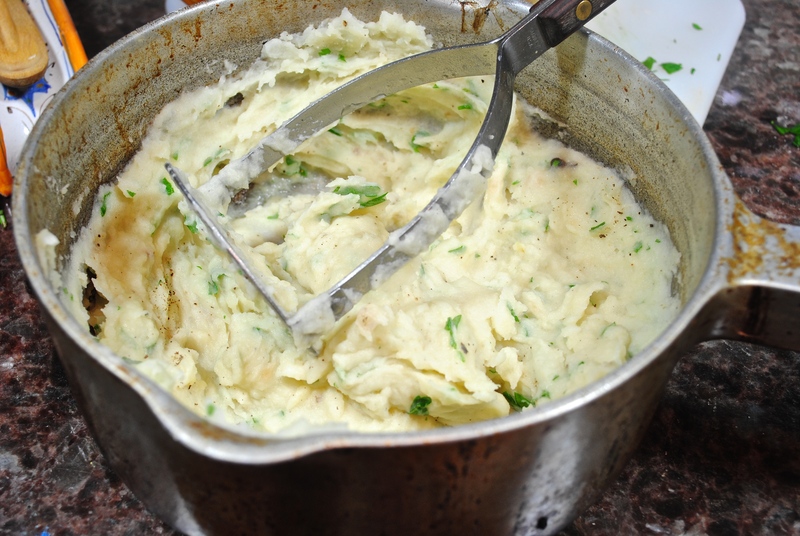 Mash the white potatoes first with salt and pepper and some of the oil/butter/garlic mixture along with some of the warmed cream until you get the consistency of mashed potatoes. Stir in the chopped parsley. 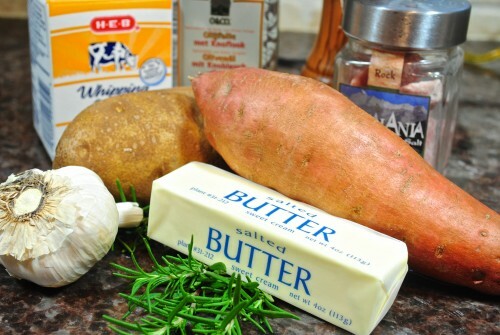 Now, mash the sweet potatoes and add some of the browned butter with rosemary and enough milk to give you a good semi-stiff mashed potato. Salt and pepper to taste. If you are going to add the fresh ginger, add them to the sweet potatoes. Now, the fun part. Fold the two potatoes together, gently trying not to over mix. You want to see the potato colors swirled together. Top the bowl with a large pat of butter and serve immediately or reheat in the microwave or oven. 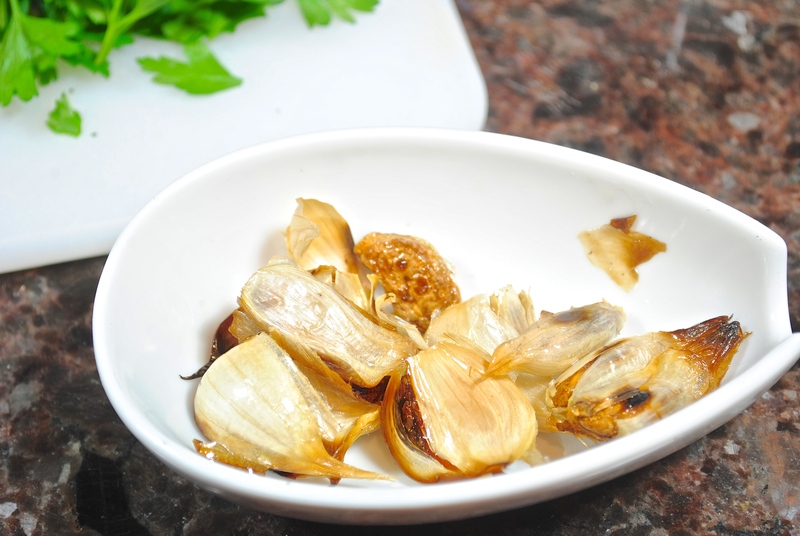 *I cut the top off of a head (or two) of garlic, drizzled with some olive oil and then wrap in a foil bundle. Bake at 350° for 30-40 minutes. I’ve seen some chefs roast their garlic in an iron skillet on the stop top. I tried them in the iron skillet and got mine too brown. I will do them from now on in the oven. Does WS sell the herb keeper you spoke of in this recipe? Yes, they do. I love mine. Sometimes I think I need two of them, one for cilantro and one for parsley.